*This is a guide to get your nurse staffing agency started. Please DO NOT contact PRN Funding until your healthcare agency has factorable invoices. With the baby boomers getting older and life expectancy in America increasing, the demand for nurses in the healthcare system and facilities like hospitals and nursing homes is rapidly growing. A nursing staffing agency is extremely helpful and necessary for these medical facilities to find and hire the quality nurses they need, as fast as they need them. Privately owned nurse staffing companies connect nurses to their potential jobs and/or health care facilities to their employees. Entrepreneurs like you are taking note of these facts and situations as a business opportunity, but before you take advantage of this, it’s important to know how to correctly go about starting a nursing staff agency, especially because a lot of the requirements are specific and often complicated. Keep in mind, this is a broad guide and legal requirements and licensing details greatly vary from state to state. Check with your state licensing agency before you officially begin your new, exciting business endeavor in the nursing recruitment world. Forming an official startup business plan before you move forward is a great way to visualize your goals and company, organize your thoughts and plan your finances. Getting it all out in the open will help you stay focused and prepare you for questions and challenges that may arise as you move forward with opening a nursing agency. It’s also a great way to present your business to other companies and the public. When you’re ready, this plan can be as extensive or brief as you feel necessary; it’s your business. Here are some sections to consider including in your nurse staffing business plan. Use this section to define and summarize your business elements and briefly describe that you are a nursing staffing temp agency. Think of this as an introduction. This is a great way to describe who you are, what your company plans and hopes to do and establish an official mission. This section seems a little obvious; explain your services. 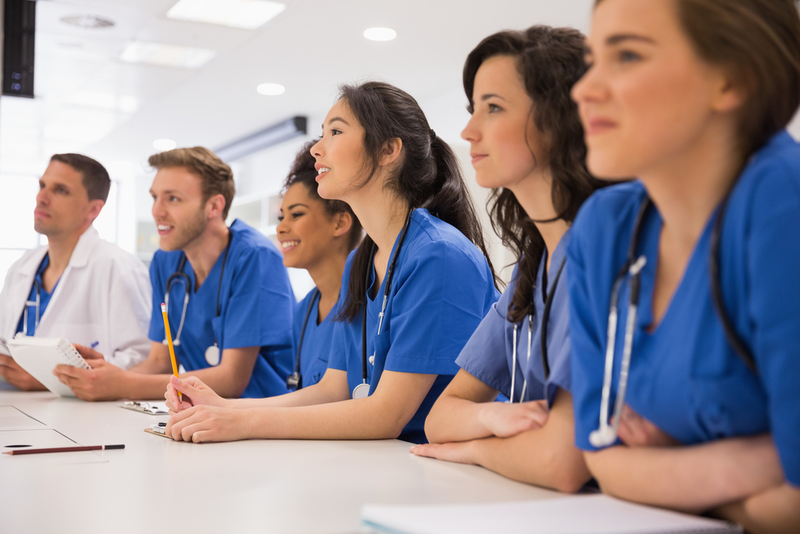 Since a nurse staffing companies’ service is pretty self-explanatory, this section might be brief, but be sure to explain your differentiating factor. How will your agency be different from other nurse staffing agencies? Are you in a unique niche? What are your standards of service? How you will handle new assignments? What is your fee structure? What will you do if you receive a disappointed client? Plan now to prevent chaos in the future. Here is where you’ll provide the details of your target market. Are you only working with hospitals? Evaluate your competitor’s in this section. It’s a great way to quickly see what they’re doing that you’re not, even if you reference this section of your plan in the future. Also, be sure to establish a possible plan and budget for marketing efforts. For example, how much will you want to spend on paid advertising online? You could also start a direct mail marketing campaign, attend networking events and conferences for staffing companies, create a social media presence that can help to optimize your website in search engines (SEO). Explain how you, as the owner, are going to run your business. Describe in detail how you are going to operate in order to achieve your goals. For example, how will you organize your staffing lists? Most staffing agencies do so by qualification, availability, or experience. As a staffing agency in the “people” business, you’ll need a professional office space for recruiters, coordinators, applicants and sometimes sales staff (when they aren’t out finding you clients) to work. Your office should probably have a front desk for an employee to greet people who walk in and direct them to other areas of the office. Define in this section what type of facility and supplies you’ll need to operate your startup nursing company. Deciding what type of building you need and where you want to be located early in the process will save you time in the future. Remember that you’ll need an area in the facility to interview or meet with prospective clients and store paperwork and documents. Try to project your expenses, budget and cash flow in this area of your plan. Don’t forget to establish some sort of timeline, a weekly cash flow budget for example. You can find templates in Excel and Google to help with this. Government requirements for staffing agencies vary, but you will need to obtain an LLC, which is a limited liability company. This is when you establish a unique name your nurse staffing company that does not already exist as an LLC in your state. The registration process is dependent on your state, so be sure to check out your specific location’s rules and steps to make sure this is done fully and correctly. Once you are registered, you’ll get a tax identification number to pay business taxes and employee withholding. You can receive your business license by applying to your city or county, and most of these applications can be done online. When caring for other people, there’s always a chance that something can go wrong. Having insurance to protect yourself and your business is important. Look into getting General Liability Insurance to cover funds for legal services and Workers’ Compensation Insurance to cover lost wages and medical expenses from employees injuring themselves while working. In addition, you’re the connecting point of nurses and potential clients, so you’ll want to make sure you conduct a background check and a drug screening to make sure the nurses your referring are professional and accountable. Create lists of hospitals, potential nurses, and other facilities in your target area (determined in your plan) that can be quickly accessed or posted to your website. A website can be created for little to no cost with Weebly or WordPress. In addition to your website, creating some social media pages can give create an additional element of trust for potential clients. Facebook pages or LinkedIn profiles are great for marketing purposes and to connect with prospects. These platforms have made creating a profile very user friendly and simple. Starting any business costs money at first, including starting a nurse staffing agency. Many healthcare facilities, including hospitals, can take weeks to pay their invoices, and you need to be able to meet payroll. Financing options such as factoring are available in order to support your business, but planning is always helpful for the unexpected. Recruiting nurses for clients is a difficult job that requires a skill set that includes organization, determination and a natural ability to interact with people. Building genuine relationships with nurses, current clients and prospective clients will lead to overall satisfaction on everyone’s end. It will also help you receive referrals and solid reviews. Discovering the specifics involved in how to start a nursing staffing agency can be time consuming and overwhelming, especially thinking of the startup costs of starting a temp agency, but there are options for you. Having a solid work ethic will allow you and your company to succeed in the nurse staffing industry and with financing options such as factoring, you can expand your agency to its highest potential. See if nurse staffing factoring can help your startup and get your company moving. agency started. Please DO NOT contact PRN Funding until your healthcare agency has factorable invoices.